The Connecticut Farm Fresh Cooperative Association (CFF), organized June 29, 1983, resulted from a need for low cost liability insurance for farmers’ markets throughout Connecticut. 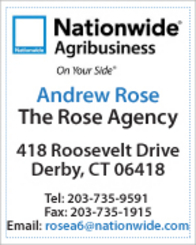 A private organization was needed to contract for the insurance since the Connecticut Department of Agriculture is prohibited from operating an insurance business, and farmers’ markets would not be able to continue operation based on individual insurance rates. Low prices are the result of volunteer work, bulk purchasing and no cost storage. During the past several years both farmers interests and customer demands have resulted in a large increase in statewide farmers’ markets. While CFF is no longer sought out to be the umbrella for farmers markets in need of insurance, it continues to play a large role in the expansion of the farmers market industry. More and more cities and towns are recognizing the blossoming interest in the value of fresh food. As an added benefit, customers can now find certified organically grown produce in practically every market. As a not for profit cooperative, CFF’s main purpose will continue to be to provide opportunities for direct farm-to-market sales of locally grown fresh fruits and vegetables.